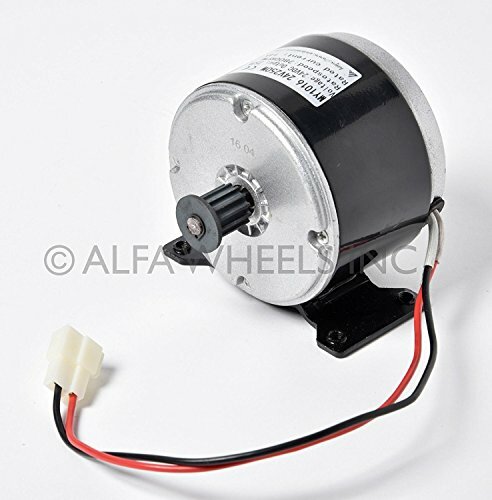 Type of motor: DC, Brush - Reversible - 12 gauge leads - Permanent Magnet Dimensions: - Diameter: 4" - Length aprox. (no shaft): 3" - Length aprox (with shaft): 4"
for electric scooter, mini bike quad and Go-Kart. It may also work for bicycle.